Gold, gold, gold. Oh how I love thee! This is a colour that I can wear year round. 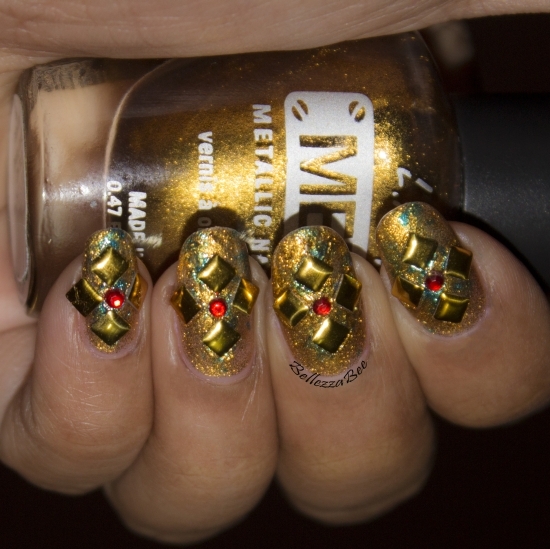 From shoes to clothing and jewelry, then of course I can use it in nail art. Today's design is simple with a gold on gold concept for all the gold lovers out there like myself. 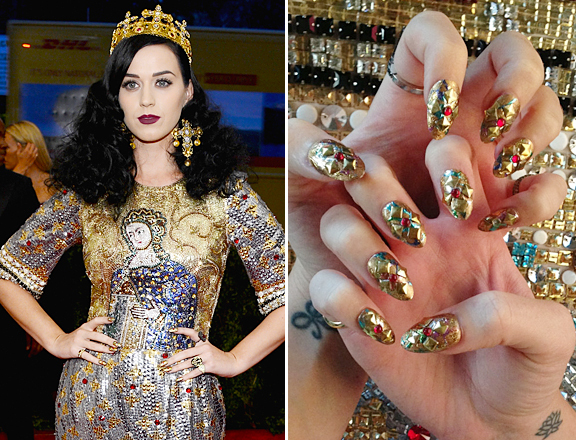 This look was inspired by nail art seen worn by Katy Perry for the Met Gala 2013. 1. Start of with two coats of any golden colour but preferable a metallic yellow gold. 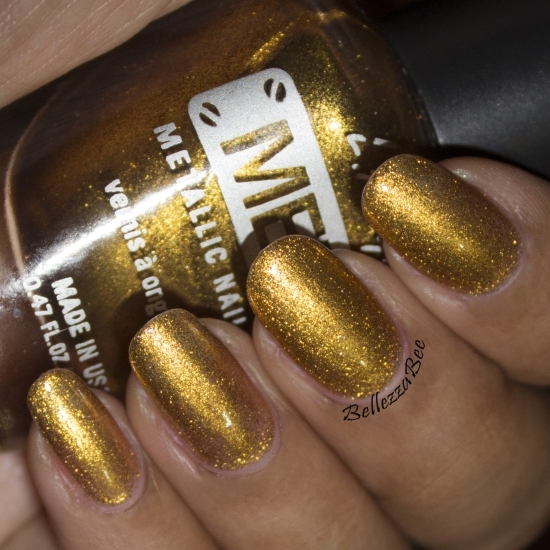 I'm using L.A Girls Metallic nail polish in Gold Plated. 2. Next take any contrasting colour; I'm using blue. Wipe off most of the colour from off the brush. Then apply lightly in downwards strokes. This is just to give some dimension to your design. 3. 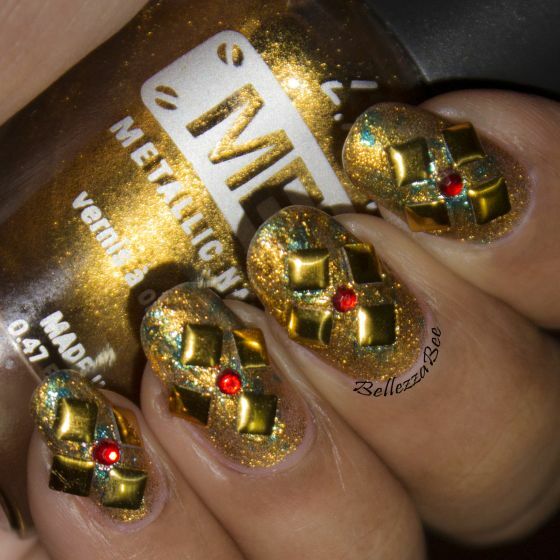 Apply nail studs to give a 3-D effect to your design. I'm using square studs from BornPrettyStore to form a flower pattern around a simple red rhinestone. 4. Apply a light top coat to keep everything in place and to add some shine. Voila!